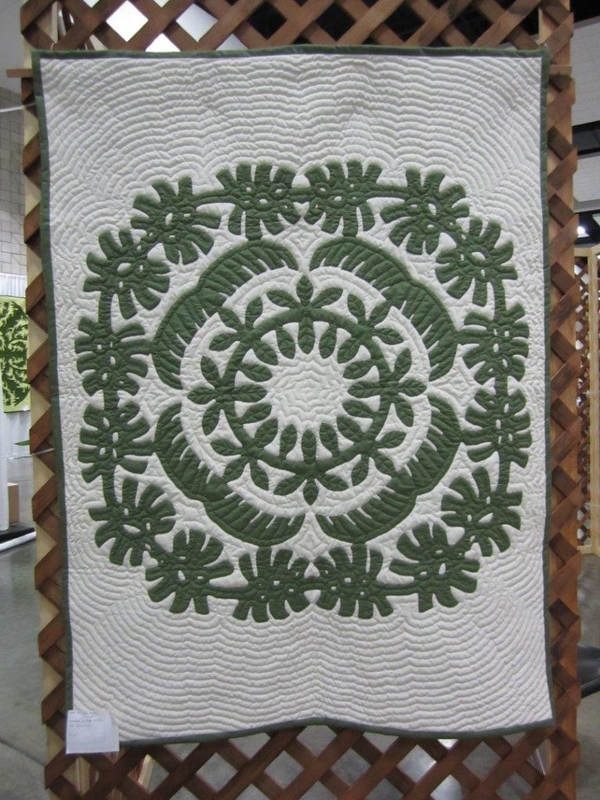 March 2015 - Hawaiian Quilting With Poakalani & Co. 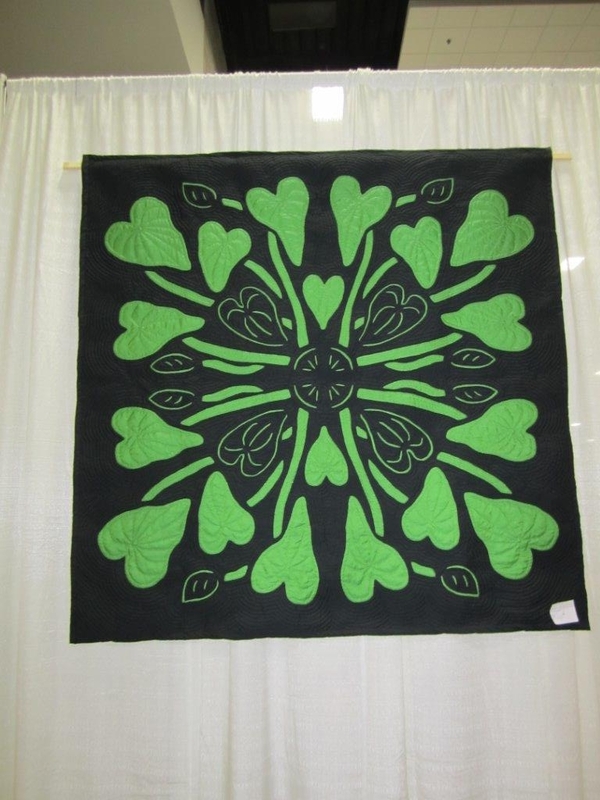 If you baste your quilt carefully the easier the applique and Don’t forget to baste the large areas of the designs. Basting by Mie. 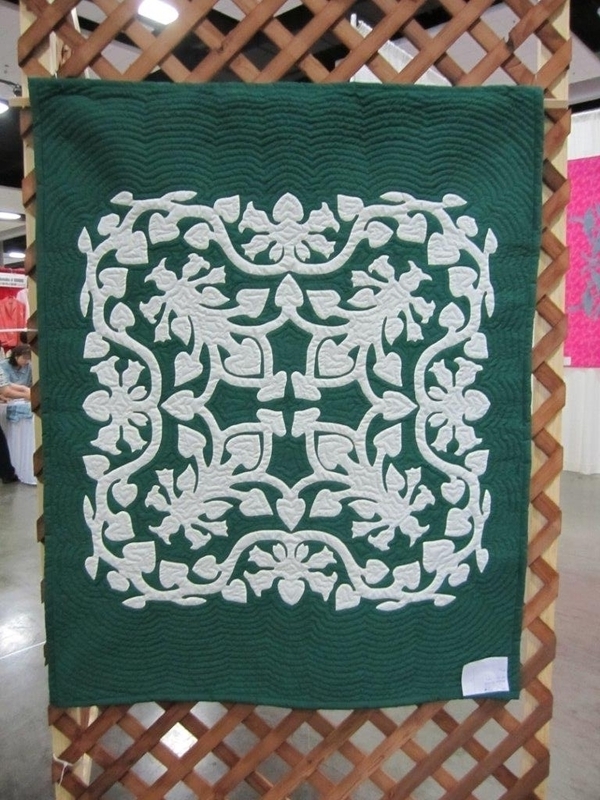 Similar to Trophies, Medal of Honors and Awards we can also honor from which we came through our quilters and their quilts . Thank you Mie for honoring our Polynesian family of Easter Island. Our ancestors were once one in blood, culture and traditions. 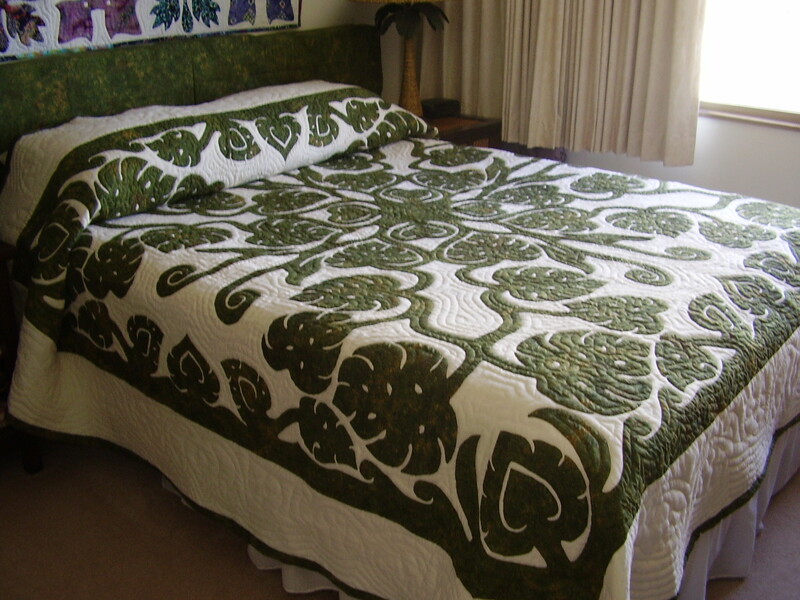 This quilts was designed by John Serrao and quilted by Certified Quilt Instructor Mie Tashiro. 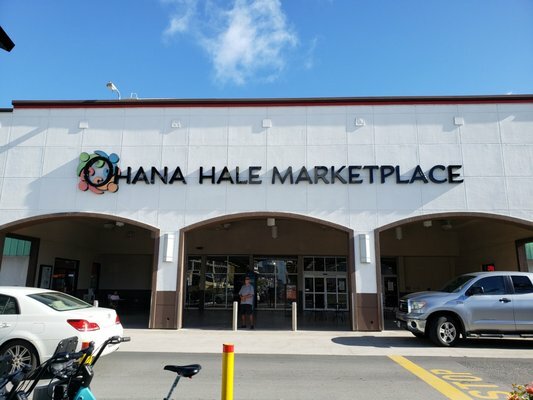 When the years swiftly pass us by and our eyes and hands age with time the amazing quilting ladies of the palace always offer a helping hand for our kupuna. Thank you Naomi of Kobe Japan who is a certified instructor for cutting out “Our” Wilma’s quilt and for all the ladies who took the time from their own work to help lay-out and pin the quilt. Wilma now has another quilt to keep her busy. The Night Blooming Cereus designed by John Serrao. 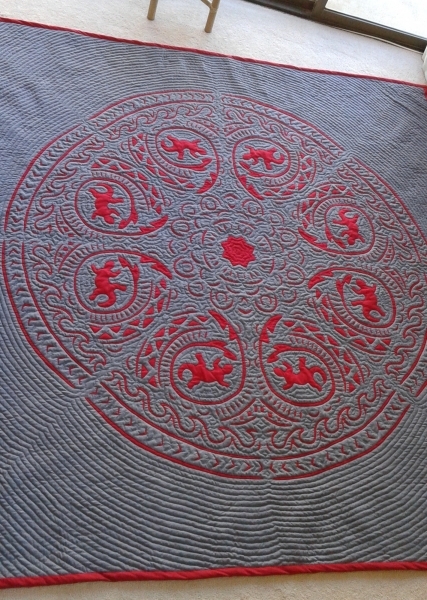 Laying out the quater fold on the background fabric. John helping to lay out the half design. Sometimes you need the extra scrap of fabric that you cut out to refill in the design to lay it more precise. A quilt for a friend who loves those furry friends and their meow’s. Two are in heaven and one is her best friend. Memory quilts of those we cherish. 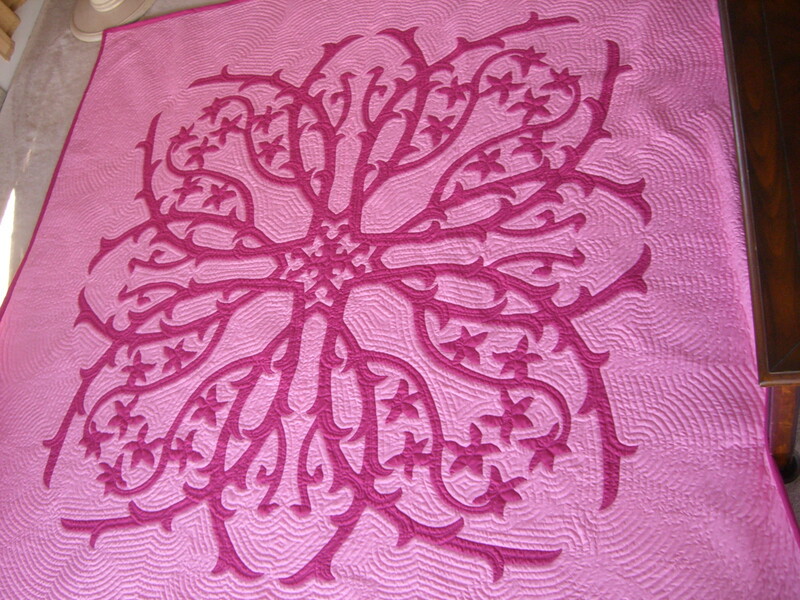 Designed and quilted by Naoko. 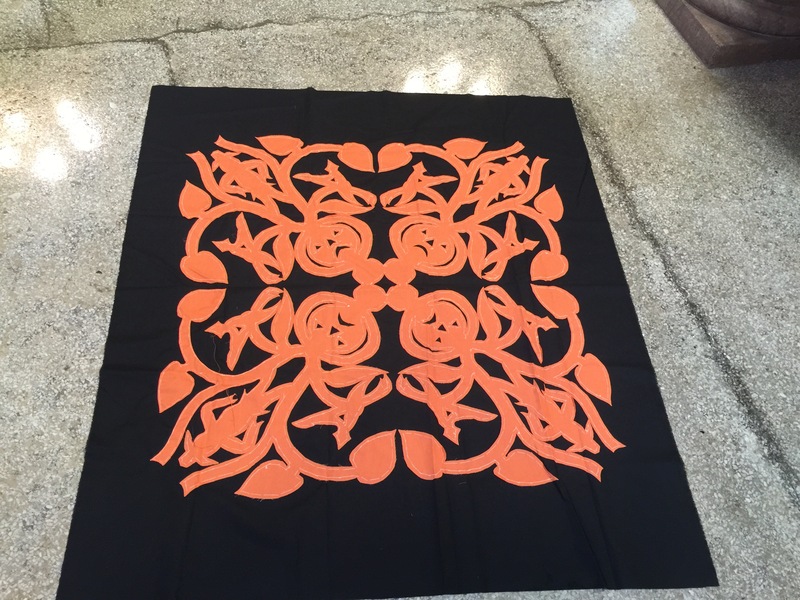 Reverse applique. 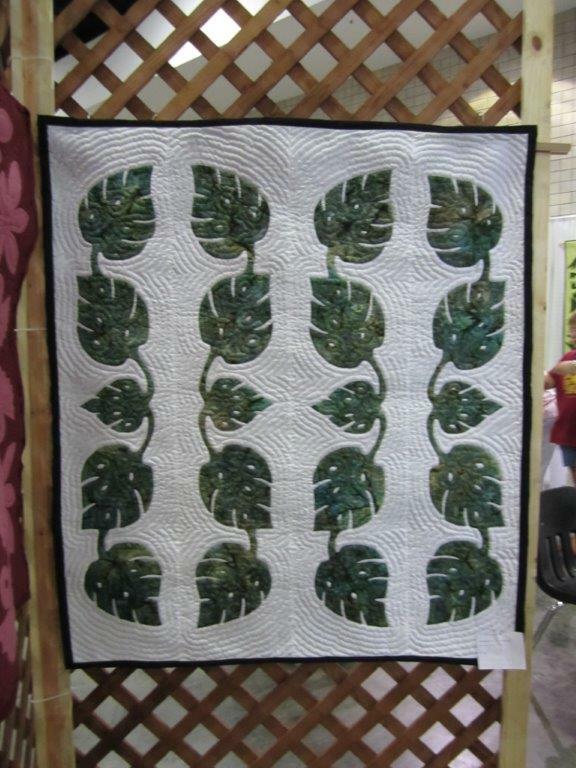 Click on the photo to see a close up the quilt. 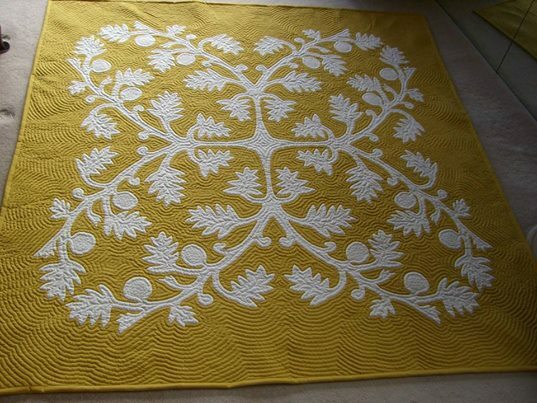 Naoko is one of my favorite quilters. Her desire to quilt has made her diligent for perfection. Her stitches are close to perfect but her imagination to tell her stories through quilts it what makes her special. 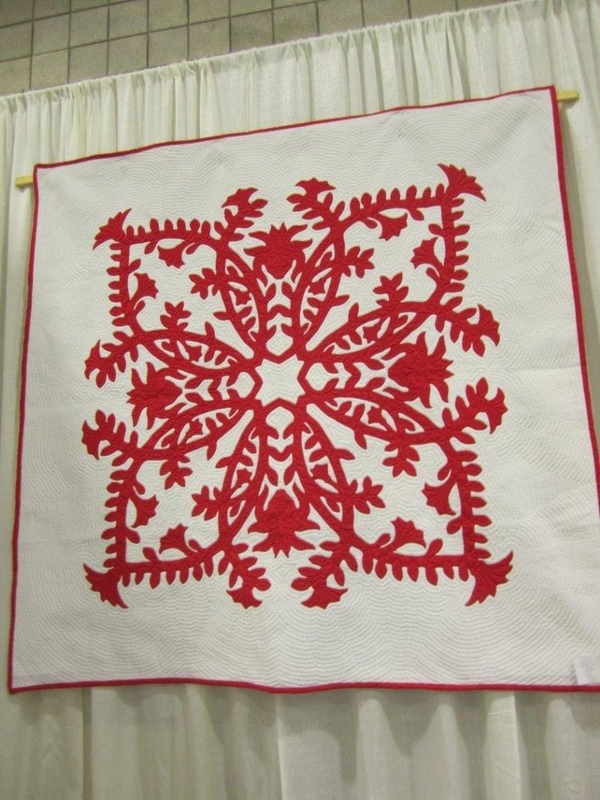 Every quilt she makes tells a story of her family, friends and of course herself. We love when our quilters are home for a short visit and it’s all about Oooh’s and Ahhhh’s. 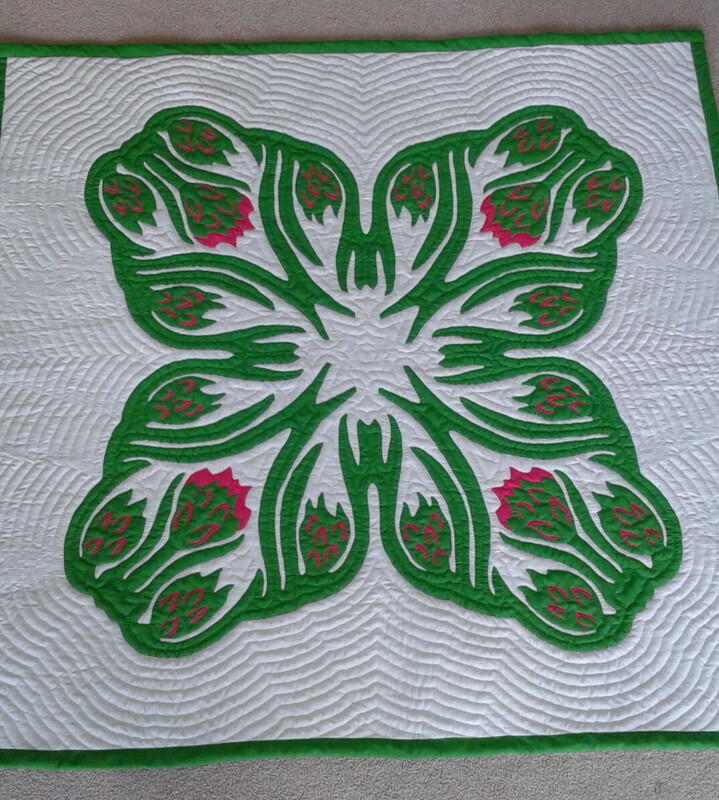 Love these ladies and miss them when they’re not here but they’ve been busy cutting and laying our their larger quilts. So beautiful. All quilts designed by John Serrao EXCEPT that beautiful Red and Blue and Orange and Red those two were designed in John’s design workshop by the quilter themselves. 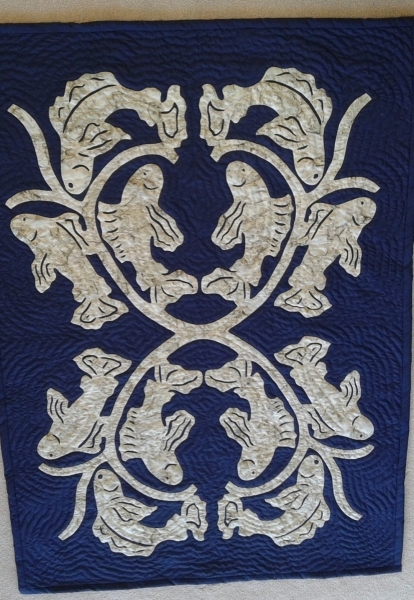 Completely Appliqued and prepped for quilting.